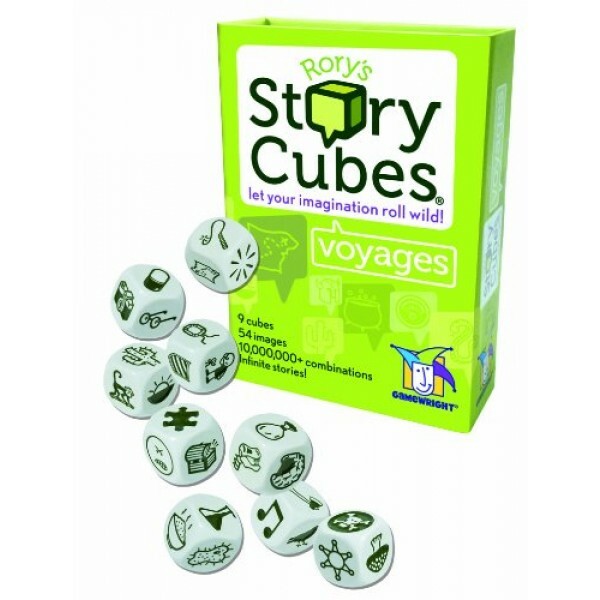 Take a trip with Rory's Story Cubes - Voyages. 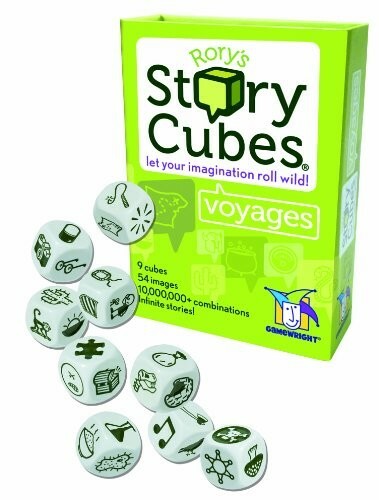 Contained within this pocket-sized set are 9 cubes that aim to inspire stories of epic adventure. Cast away on a deserted island! Spin tales of a faraway land! With 54 images and millions of combinations, your journeys are bound to be endless. Rory's Story Cubes are also available in two more fun versions: Rory's Story Cubes, the original creative story generator and Rory's Story Cubes - Actions, featuring 54 everyday verbs. To view A Mighty Girl's extensive collection of empowering games of all varieties, visit our Games / Video Games section.